In this quickstart, you create .NET sender and receiver applications that send and receive messages by using the HTTP protocol. The applications use Hybrid Connections feature of Azure Relay. To learn about Azure Relay in general, see Azure Relay. Create a Relay namespace by using the Azure portal. 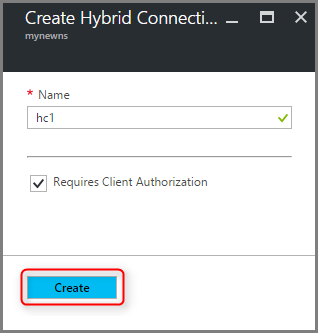 Create a hybrid connection in that namespace by using the Azure portal. Write a server (listener) console application to receive messages. Write a client (sender) console application to send messages. Visual Studio 2015 or later. The examples in this tutorial use Visual Studio 2017. In the left menu, select + Create a resource. Then, select Integration > Relay. If you don't see Relay in the list, select See All in the top-right corner. Under Create namespace, enter a namespace name. The system immediately checks to see if the name is available. In the Subscription box, select an Azure subscription in which to create the namespace. In the Resource group box, select an existing resource group in which to place the namespace, or create a new one. In Location, select the country or region in which your namespace should be hosted. Select Create. The system creates your namespace and enables it. After a few minutes, the system provisions resources for your account. Select All resources, and then select the newly created namespace name. 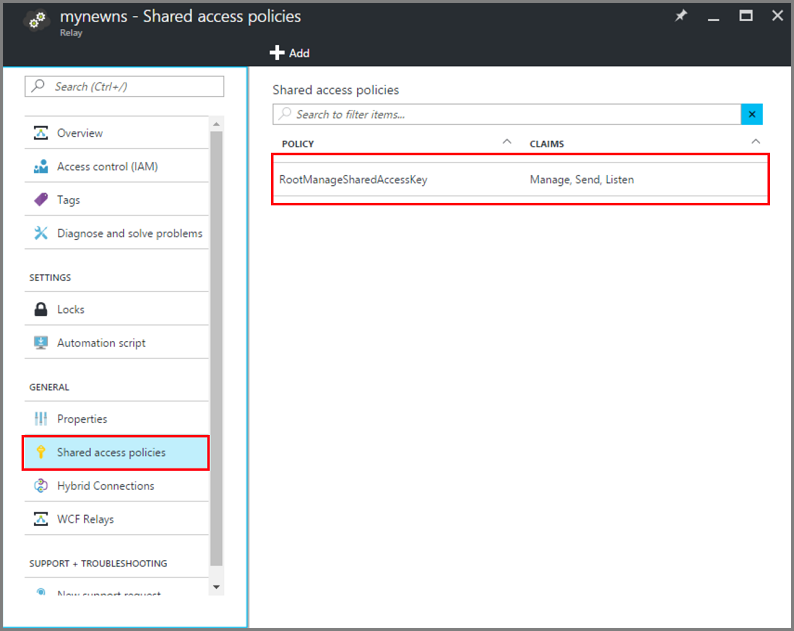 Under the Relay namespace, select Shared access policies. Under Shared access policies, select RootManageSharedAccessKey. 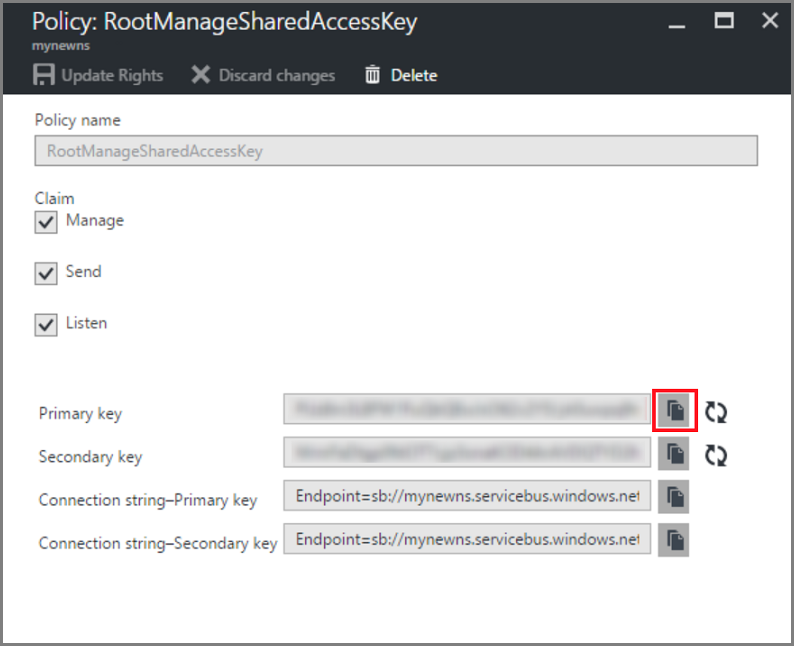 Under Policy: RootManageSharedAccessKey, select the Copy button next to Connection string–Primary key. This copies the connection string to your clipboard for later use. Paste this value into Notepad or some other temporary location. Repeat the preceding step to copy and paste the value of Primary key to a temporary location for later use. Ensure that you have already created a Relay namespace. In the left menu, select All resources. Select the namespace where you want to create the hybrid connection. In this case, it is mynewns. Under Relay namespace, select Hybrid Connections. Under Create Hybrid Connection, enter a value for the hybrid connection name. Leave the other default values. In Visual Studio, write a C# console application to listen for and receive messages from the relay. In Visual Studio, create a new Console App (.NET Framework) project. Right-click the newly created project, and then select Manage NuGet Packages. Select Browse, and then search for Microsoft.Azure.Relay. In the search results, select Microsoft Azure Relay. For the version, select 2.0.0-preview1-20180523. Select Install to complete the installation. Close the dialog box. Add constants to the Program class for the hybrid connection details. Replace the placeholders in brackets with the values that you obtained when you created the hybrid connection. Be sure to use the fully qualified namespace name. // Subscribe to the status events. // maintained, and is reestablished when connectivity is disrupted. // Start a new thread that will continuously read the console. // Close the listener after you exit the processing loop. In Visual Studio, write a C# console application to send messages to the relay. If you have disabled the "Requires Client Authorization" option when creating the Relay, you can send requests to the Hybrid Connections URL with any browser. For accessing protected endpoints, you need to create and pass a token in the ServiceBusAuthorization header, which is shown here. Add the following line of code to the Main method in the Program class. Run the client application. You see hello! in the client window. The client sent an HTTP request to the server, and server responded with a hello!. Now, to close the console windows, press ENTER in both the console windows. Congratulations, you have created an end-to-end Hybrid Connections application! In this quickstart, you created .NET client and server applications that used HTTP to send and receive messages. 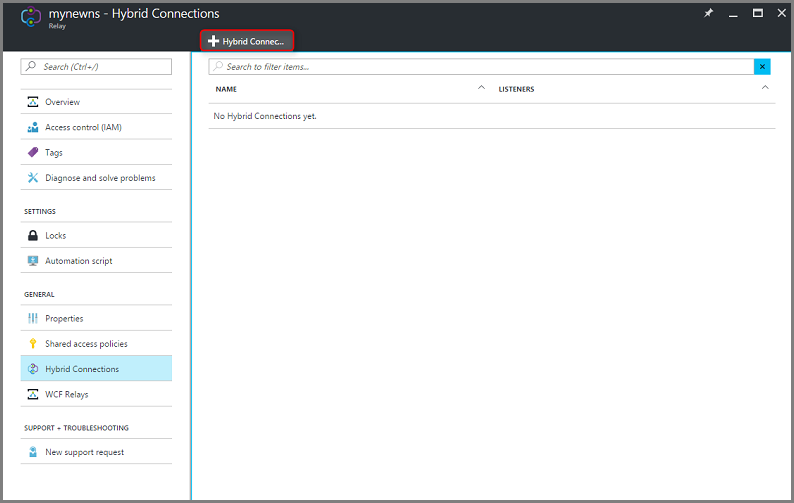 The Hybrid Connections feature of Azure Relay also supports using WebSockets to send and receive messages. 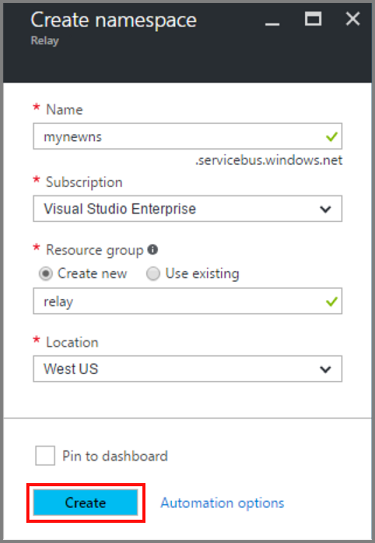 To learn how to use WebSockets with Azure Relay Hybrid Connections, see the WebSockets quickstart. In this quickstart, you used .NET Framework to create client and server applications. To learn how to write client and server applications using Node.js, see the Node.js WebSockets quickstart or the Node.js HTTP quickstart.